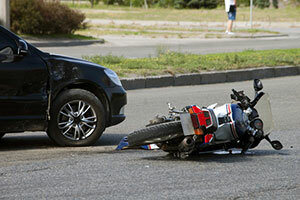 The West Palm Beach motorcycle accident lawyers at the Wolfson Law Firm help folks injured in motorcycle accidents in West Palm Beach get the compensation they deserve for the last 50 plus years. We are here to help you and your loved ones as well. Do not accept any settlement offers made by insurance companies, because that's rarely what you deserve for your harms and losses. Call us at 855-982-2067 for consultations to determine how strong your case is and how much you may be able to claim as compensation. It is likely that it's more than what the insurance company of the responsible driver tries to offer you. The consultations with our bilingual lawyers are free and confidential. You won't pay us fees unless we recover for you. West Palm Beach is the seat of Palm Beach County. It is one of the three main cities in the Miami metropolitan area, other being Miami and Fort Lauderdale. West Palm Beach borders with Palm Beach on its east side and some unincorporated communities on the west. The Martin Luther King Jr. Boulevard divides it from Riviera Beach, North Palm Beach, and Palm Beach Gardens on the northern side, while its southern part borders with Lake Worth and several villages and retirement gated communities. The US 1 Highway passes through the downtown, Interstate 95 passes from north to south of the city, while State Road 80 dissects it from east to west. The population in West Palm Beach is estimated at 108,000 residents. As with any other city in Florida, it is a mixture of many races and nationalities. The population has expanded significantly in the last 30 years. In early 1990's, around 67,000 people lived in West Palm Beach, but the growth of 21% per decade in the next 20 years is about to see the city doubling in population. West Palm Beach hosts many historical places that could be of interests for the plenty of tourists that visit the city, including El Cid, Northwest, Flamingo Park, Bel Air Historic District, Grandview Heights, Old Northwood Historic District, and others. The city also hosts many music festivals and other cultural events, plenty of bars, nightclubs, restaurants, casinos, sports fields and arenas and other entertainment and recreation spots. All in all, there is a lot going on in West Palm Beach, hence the risk of motorcycle accidents. Don't initiate a claim for compensation without at least consulting a Palm Beach accident and injury lawyer. It can be harder than you think. To get help in pursuing the compensation you deserve, call our West Palm Beach motorcycle accident lawyers at the Wolfson Law Firm. You can reach us out at 305-285-1115. Our consultations are free. We handle cases on a contingency basis, which means that you won't pay fees until we recover for you.